One of this year’s recipients is Vincent Ha, a clinical pharmacist practising at the Cross Cancer Institute in Edmonton. In just three short years, Vincent has obtained his Additional Prescribing Authorization and has contributed to valuable clinical research by publishing three papers in peer-reviewed pharmacy journals. He is also a regular guest lecturer for the oncology pharmacy module for the University of Alberta’s Faculty of Pharmacy and Pharmaceutical Sciences and the Bachelor of Radiation Therapy program. “Vincent’s achievements go way beyond what we commonly see in a new practitioner,” said Melanie Danilak, Pharmacy Clinical Practice Leader, Alberta Health Services. “His motivation and passion for the profession continues to grow and I have no doubt he will continue his outstanding work and encourage others to do the same. 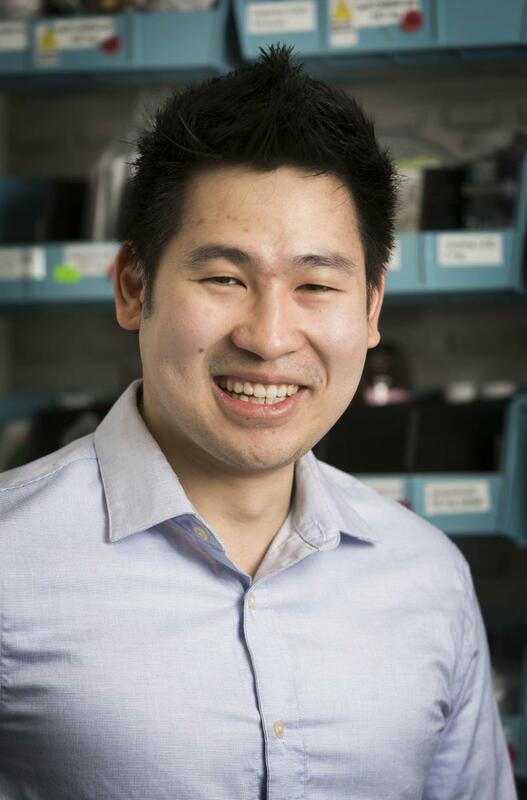 Vincent Ha is exactly who I want to see when looking at the future of pharmacy.” Melanie has known Vincent since he was a student at the Cross Cancer Institute and was one of Vincent’s nominators for the award.